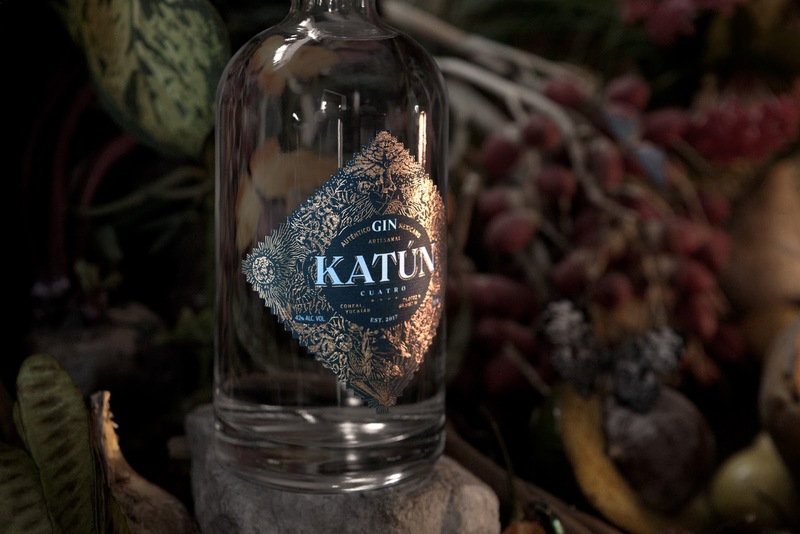 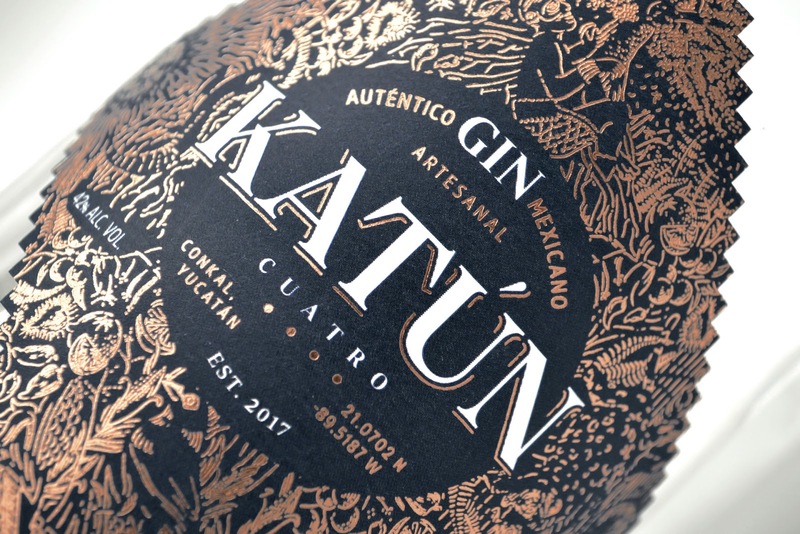 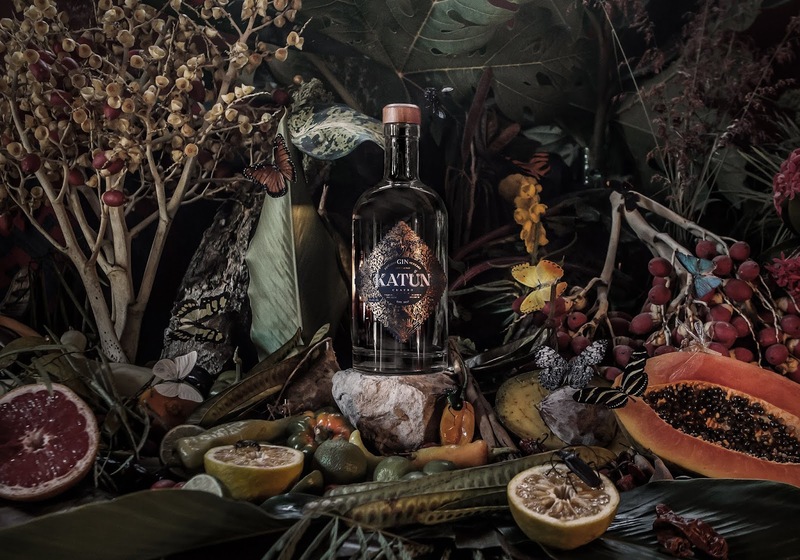 KATÚN 4 is an authentic Mexican gin, the first of its kind in the Yucatan area, where it's artisanally distilled with ingredients and spices from the region. 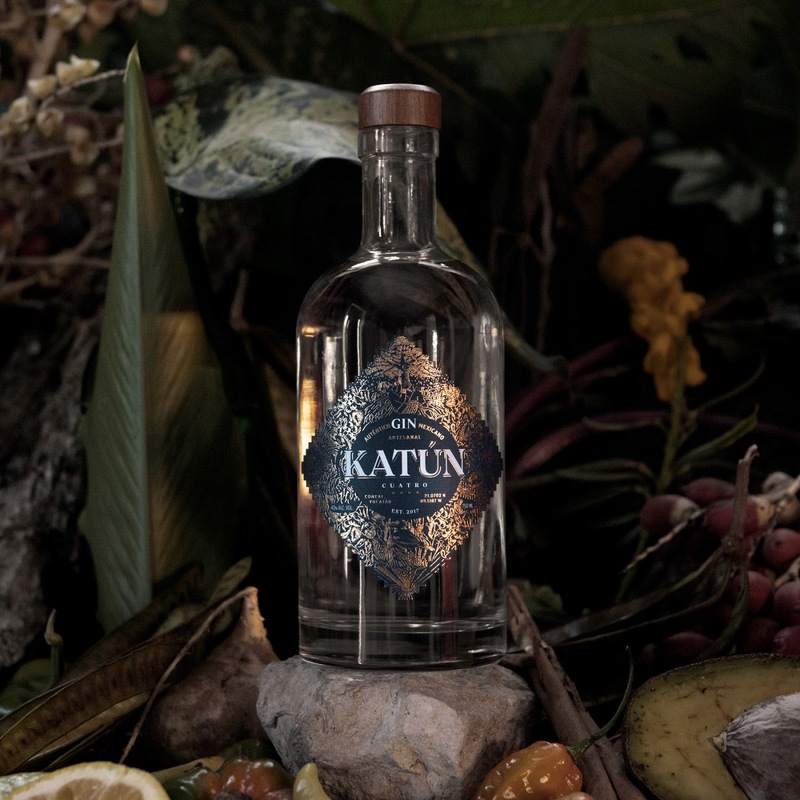 The label is based on the 4 cardinal directions, important in the Mayan cosmovision, where each direction play an essential role and have unique attributes that conjugate with representative elements of the drink and the Mayan region. 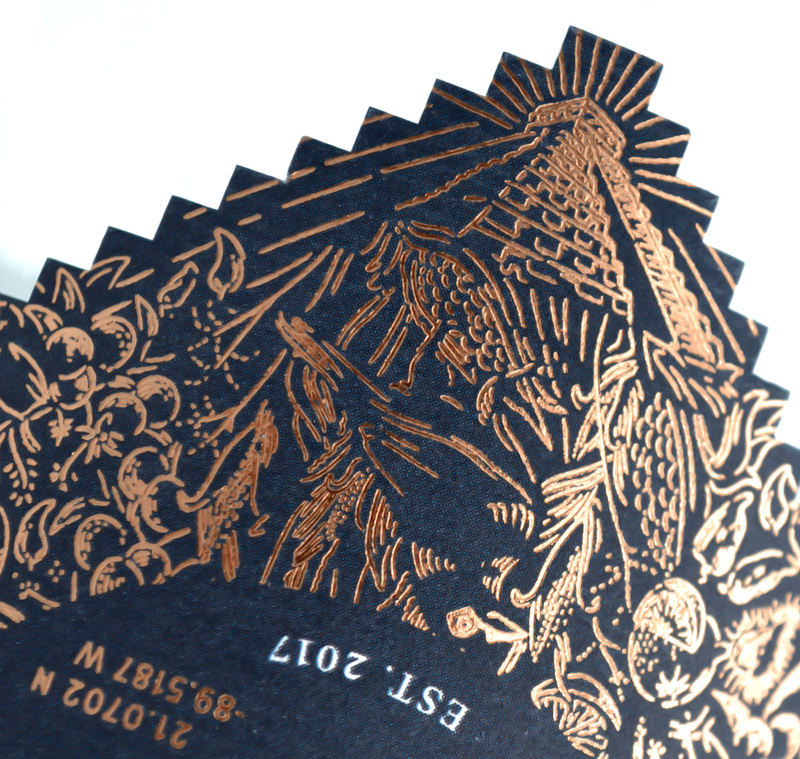 All those details tell the story of the brand, its origin, its identity. 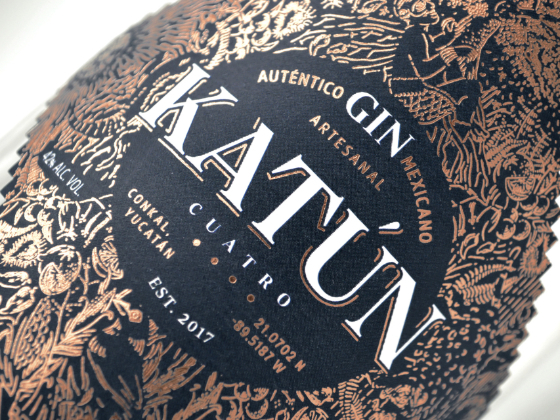 Each element was crafted starting from a realistic representation until finding its optimal abstraction, while each section invites the user to go deeper into the details in order to find every unique element.